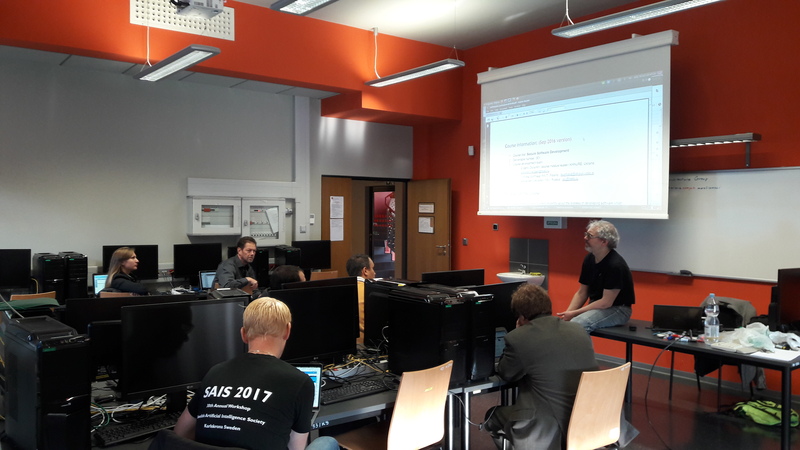 Secure Software Development workshop took place on 29.09.2017 – 03.10.2017 in Wroclaw University of Science and Technology (Politechnika Wroclawska), Department of Computer Engineering. The partner university representatives joined this workshop: Anders Carlsson and Fredrik Erlandsson (BTH, Sweden), Andrey Krasov (St-Petersburg, Russia), Maryna Yevdoymenko (KhNURE, Kharkiv, Ukraine), Yuriy Lakh and Olena Nyemkova (LNPU, Lviv, Ukraine), Volodymyr Sokolov and Pavlo Skladannyi (SUT, Kyiv, Ukraine), Tomasz Surmacz (WTU, Wroclaw, Poland). This workshop was focused on implementing the course at participating universities. Participants discussed the readiness of course content, syllabus, course aims for achieving the best educational results. University teachers paid attention to the introduction to typical security programming errors and vulnerabilities. They did a lab – “Buffer overflows”.